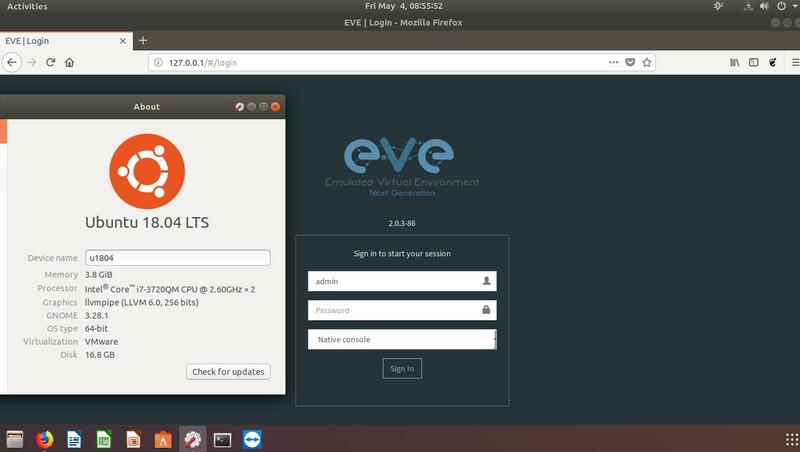 It would be cool to get eve-ng for Ubuntu 18.04 lts, maybe even Desktop version. The reason of ask is possibility of bare-metal installation on local machine and access via 127.0.0.1. 16 version of Ubuntu has old version of desktop environment and suits only as server platform. Have you checked how does it work? Any bugs been found? We will not go for Ubuntu Desktop version for EVE. if you want install it. But EVE no need server gui mate. You are free to test anything you like. Can we update OS of parallella to Ubuntu 16.04 LTS? And how?